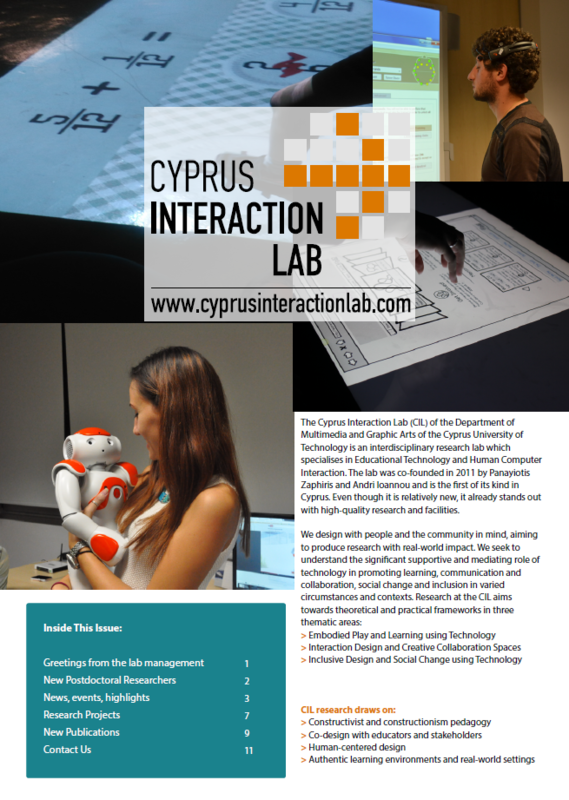 The Cyprus Interaction Lab is the only research facility in Cyprus specialising in Educational Technology and Human Computer Interaction. We are proud to engage in research that helps unpack the potential of emerging technologies to positively influence our society. We hope you will enjoy reading our newsletter which highlights our major achievements of the previous year.